Jimmy Nelson (Sevenoaks, Kent, 1967) started working as a photographer in 1987. Having spent 10 years at a Jesuit boarding school in the North of England, he set off on his own to traverse the length of Tibet on foot. 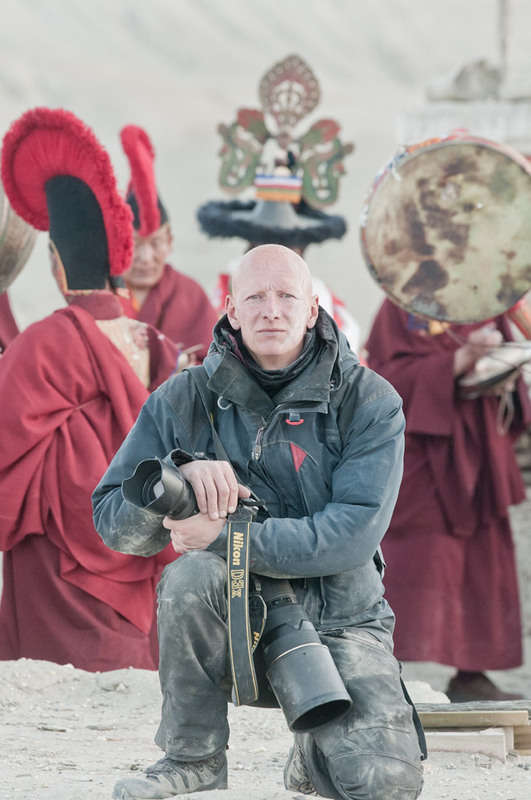 The journey lasted a year and upon his return his unique visual diary, featuring revealing images of a previously inaccessible Tibet, was published to wide international acclaim.Soon after, he was commissioned to cover a variety of culturally newsworthy themes, ranging from the Russian involvement in Afghanistan and the ongoing strife between India and Pakistan in Kashmir to the beginning of the war in former Yugoslavia. In early 1994 he and his Dutch wife produced Literary Portraits of China, a 30 month project that brought them to all the hidden corners of the newly opening People’s Republic. Upon its completion the images were exhibited in the People’s Palace on Tiananmen Square, Beijing, and then followed by a worldwide tour.From 1997 onwards Jimmy began to successfully undertake commercial advertising assignments for many of the world’s leading brands. At the same time he started accumulating images of remote and unique cultures photographed with a traditional 50-year-old plate camera. Many awards followed. When he started to successfully and internationally exhibit and sell these images, this created the subsequent momentum and enthusiasm for the initiation of Before they Pass Away. The purity of humanity exists. It is there in the mountains, the ice fields, the jungle, along the rivers and in the valleys. Jimmy Nelson found the last tribesmen and observed them. He smiled and drank their mysterious brews before taking out his camera. He shared what real people share: vibrations, invisible but palpable. He adjusted his antenna to the same frequency as theirs. As trust grew, a shared understanding of the mission developed: the world must never forget the way things were.